In 1947 a shepherd boy named Mohammed ed-Dhib set off through the cliffs of the Judean wilderness in search of a wandering goat from his flock. As he climbed up the rugged terrain in search of the goat, he stumbled onto a cave. Curious about the depth of the cave, he tossed in a small stone expecting it to hit the bottom, but instead, he heard the sound of breaking pottery. This shepherd boy had accidentally discovered Biblical archaeology’s greatest find. 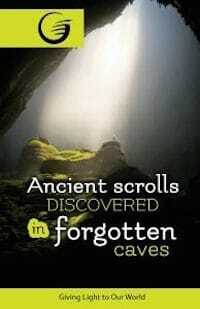 Later exploration into the early 1950’s revealed ancient scrolls kept in jars, hidden in a total of eleven caves. These documents, called the Dead Sea Scrolls, were the oldest Biblical texts ever found, each over 2,000 years old. Experts later translated the Dead Sea Scrolls and discovered that they contained every book of the Old Testament except Esther, plus other texts including commentaries on biblical books. The scrolls containing the book of Daniel revealed amazing new insights. The Textual Accuracy of Daniel. Before the publication of the Dead Sea Scrolls, many scholars argued that biblical books like Daniel evolved over time. Words, phrases, and larger portions were supposedly changed or added. Until the Dead Sea Scrolls were found, the earliest copies of the Bible dated to the tenth-eleventh centuries A.D. A huge gap—about 1,500 years—existed between the time of Daniel and the European Middle Ages. The new publication of Daniel by Dead Sea Scroll scholars provided new texts over a thousand years older than previous manuscripts with which to compare Daniel’s prophecies. The scrolls revealed parts of all the chapters of Daniel except chapter 12. These chapters show remarkable similarity to other manuscripts: 1) There is no significant abbreviation or addition. 2) The transition from Aramaic to Hebrew and back occurs in the exact same places. 3) The eight different copies agree very closely with the tenth-eleventh century texts upon which our modern translations are based. This is an enormous discovery that gives great credibility to the accuracy and dating of the book of Daniel. Daniel’s stories and prophecies place the book within the three military campaigns of Babylon’s King Nebuchadnezzar against Judah. Babylon’s armies capture Daniel and his friends in 605 B.C. (Daniel 1). They take Ezekiel the prophet in 597 B.C. together with 10,000 other prisoners (2 Kings 24:14), and leave the prophet Jeremiah behind to provide hope for the poorest who remain in Jerusalem. Finally, in 586 B.C. Nebuchadnezzar destroys Jerusalem and the temple, deporting many of its inhabitants to Babylon (2 Kings 25:1-21). The following six points show how archaeology, in addition to the Dead Sea Scrolls, confirms the accuracy of these biblical events. The Babylonian Chronicles are the official records of the campaigns of Nebuchadnezzar. The text, now in the British Museum, is partially broken but clearly documents the 597 B.C. campaign against Jerusalem as described in the Bible. The Lachish Letters were found in 1930 in the destroyed gate of the city of Lachish. One letter contains the words, “We are watching for the fire signals of Lachish according to all the signs which my lord has given, because we cannot see Azekah.” Sent by messenger to Lachish, the text informs the inhabitants that Azekah has already been conquered and Lachish may be next. According to Jeremiah 34:7, only Azekah and Lachish remained of the cities of Judah during this last campaign by Nebuchadnezzar. This letter confirms this picture and gives the next stage of the campaign strategy—the destruction of the guardian city of Lachish before the armies advanced on Jerusalem. The construction of Babylon is claimed by Nebuchadnezzar (Daniel 4:30), but no classical writer had ever said so. Moreover, historians knew that Babylon had existed for over a thousand years before Nebuchadnezzar. How could he claim to have built the city? The German expedition to Babylon from 1899-1915 uncovered thousands of mud bricks used in the walls and buildings all stamped with Nebuchadnezzar’s name. Moreover, eight gates surrounded the city, each named after a well-known Babylonian god. The famous Ishtar gate reconstructed in Berlin bears a dedicatory inscription of Nebuchadnezzar. He had indeed rebuilt the city after its destruction by the Assyrians. The name of “Baruch the son of Neriah, the scribe” was discovered on a seal impression found in the destruction debris of Jerusalem. Baruch served as the personal scribe of the prophet Jeremiah and helped the prophet write the book (Jeremiah 32:12). The name Nebu-sarsekim was discovered in 2007 on a financial record by a researcher in the British Museum. The inscription dates to the tenth year of King Nebuchadnezzar. Jeremiah 39:3 mentions Nebu-sarsekim in the account of Nebuchadnezzar’s last campaign against Judah. The Cyrus Cylinder, discovered in Babylon in 1879, was issued by Cyrus the Great to commemorate his conquest of Babylon in 539 B.C. Cyrus describes himself entering the city peacefully, welcomed by the population as a liberator. This corresponds with the prophecy of Isaiah (44:28-45:3), stating that Babylon fell without a prolonged siege or fight by Cyrus, the “anointed one.” The cylinder also records the liberation of the captive nations held by Babylon and their return to their cities. Ezra (1:1-6) records that Cyrus freed the Jews who had been brought into exile by Nebuchadnezzar, allowing them to return to Jerusalem. 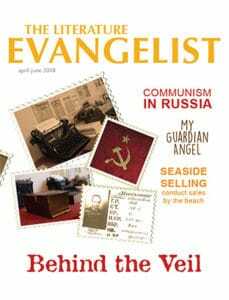 The shepherd boy’s discovery, as well as the excavation of ancient sites in the Middle East, has allowed new information about the world of the Bible to emerge from the sands of time. This evidence confirms the accuracy, authority, and credibility of the Bible, including its prophecies. Students of these civilizations have seen prophecy vividly come to life. Such new scientific data provides evidence of the Bible’s supernatural origin and leads to the question of its impact on my life and yours. Will we read and trust the Bible?